I got this as a prize from one of the monthly local pen meet. 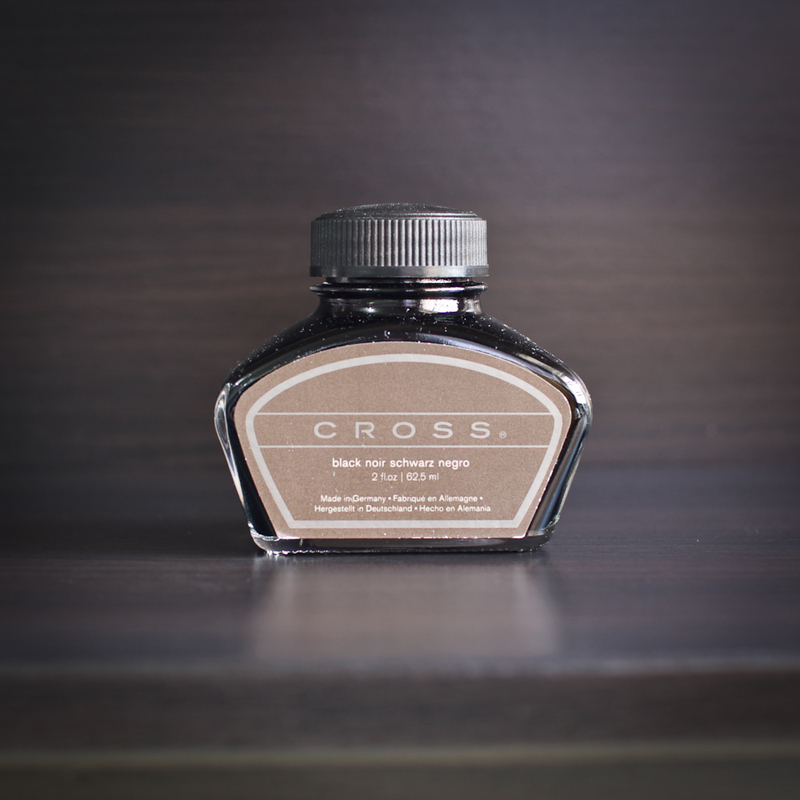 Cross Black came in a bottle that resembles the Pelikan 4001 bottles. That made me wonder if these were manufactured by Pelikan. In any case, Cross Black doesn’t feel as dry as Pelikan inks. However, judging by the swatch, they do look awfully similar. (I cannot be 100% sure if Cross Black is a re-packaged Pelikan Black or not.) Cross Black isn’t super saturated. There is some very subtle shading. It goes down dark but dries to a matte grey in some places. I will be giving away this bottle of Cross Black. All you need to do is to tell me what’s your favourite black item. The giveaway will end by midnight 28 March and the winner will have one week to claim the prize from me. This giveaway is open to all residing in Singapore.